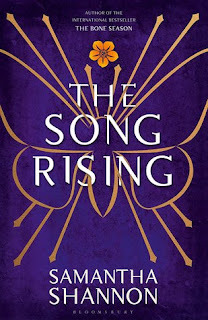 A quick note: The Song Rising is the third novel in The Bone Season series. 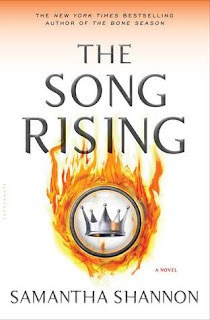 While I can guarantee that there will be no spoilers for The Song Rising, there may be spoilers for the previous novels. 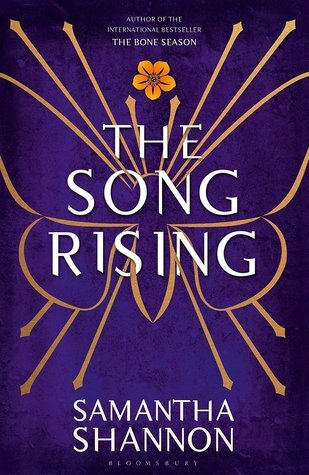 I cannot tell you how happy I am that the third novel in The Bone Season series, The Song Rising, is very nearly out in the world. I have been waiting for a very long time for this continuation, and I know many of my fellow readers have been as well. Having escaped Sheol I and defeated all the contenders in the Rose Ring to become the Underqueen of the London Syndicate, in The Song Rising, Paige has now found herself in a powerful position. She is determined to rally her troops to fight for the rights and protection of all voyants, and begins to take the steps in order to make them an army fit to assist the Ranthen in overthrowing Scion and the other Rephaite. However, with great power comes great responsibility, and Paige soon finds that she is responsible for the welfare of her underlings. With Scion dogging her steps at every turn and the military's presence growing, Paige is forced to make some tough decisions as she continues to light the spark of revolution. 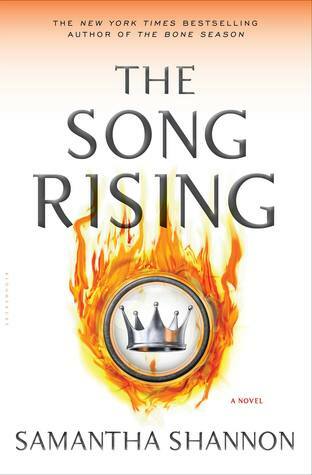 I was actually one of the lucky people to receive an early review copy of The Song Rising, thanks to the lovely folk over at Bloomsbury. Since it has been one of my most highly anticipated sequels for ages, I immediately skipped everything on my then TBR in order to reread the first two novels and dive right into this one. Now, even though you're likely seeing this review months from when I'm typing it up, I thought it'd be best to write it while fresh off reading the book. It was absolutely incredible to be back in the world that Samantha Shannon so carefully crafted in her first two novels, complete with the variety of clairvoyants, the restructured London syndicate and the ever-present threat of Scion and the Rephaite. Since I'd come off of a reread of The Bone Season and The Mime Order, I comfortably transitioned into The Song Rising without any confusion. What is truly impressive, in my humble opinion, is that the world once again expands and introduces us to even more of the world. And while it is obviously sad, bleak and terrifying, it is also so darn interesting to learn about what is going on outside of the London citadel. I love that with every single story, Samantha has been slowly letting readers see the rest of the world in her head, and I absolutely cannot wait for more. It was also so wonderful to be reunited with Paige, Nick, Eliza, Warden and countless other characters that I've come to know and love (or perhaps revile) in reading the previous novels. For the great majority of the main players that I was familiar with, it felt like deepening a bond with a friend, particularly as we learn more about certain individuals who might not have had center stage (or any stage at all, really) prior to The Song Rising. And for the newer characters who crop up in this story, Samantha does an excellent job of fleshing them out as flawed individuals doing the best they can with the circumstances they are in (in the case of the "good" guys) and psychopaths who are not opposed to death and destruction in order to get their way (in the case of the "bad" guys). But I need to really take a moment here to appreciate Paige Mahoney, our main gal. She faces a number of challenges in The Song Rising, challenges that would have lesser men and women running like hell, and these challenges are what break her, shape her, make her. She's certainly not perfect, especially considering her youth, and she does make mistakes. But with each mistake, and even each victory, there is growth and there is experience and there is Paige learning to be a strong leader. It really impressive how much Paige grows over the course of this novel, and it is a character arc that felt really organic as well. So, the world is great. So, the characters are phenomenal. But Lex, you might ask, what about the story? The short answer: it was incredible. The longer answer? Well, it is clear to me that this story was so well-executed. Every scene had a purpose, whether it was to move the plot forward or showcase more of a person's character, and I admired that so much care had gone into the telling of this tale. Each section felt organic and fed right into the next one, and it was hard to stop once I'd started. I was so immersed in the newest chapter of Paige's story, and I devoured the entirety of it in just one afternoon. It was exciting. It was terrifying. It was heartbreaking. It was inspiring. And it was very, very, very good. So, yes, I loved the story as well.